This week’s minorities in cartoons entry is “Star vs. the Forces of Evil,” a Disney XD series. The show debuted in 2015. The series centers around Star Butterfly, a princess from a fairy tale kingdom-like alternate dimension. On her 14th birthday, Star inherited a powerful magic wand. However, her irresponsibility and inexperience ended up causing chaos. As a result, Star’s parents send her to Earth. There, Star’s expected to learn to master the wand’s powers, as well as become a responsible person. On Earth, Star poses as an “exchange student” who lives with the Diaz family. An only child, Marco’s a teen who’s noted for being cautious and safety-minded. He also possesses fairly strong martial arts skills. Star and Marco eventually become friends. A friend of Star’s (a mischievous floating pony princess head named, well, Flying Princess Pony Head) leaves the two with a pair of magic scissors that can open dimensional portals. On top of that, various threats come to Earth, largely wanting Star’s powerful wand. 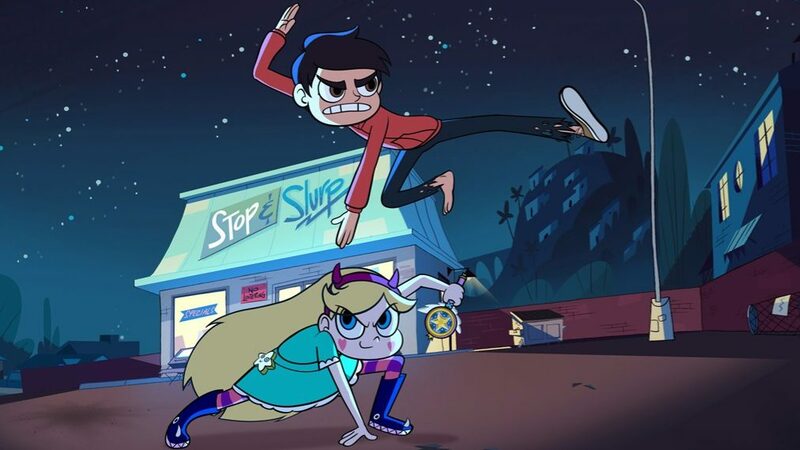 Star and Marco use a mix of the scissors, wand, and martial arts skills to defeat their foes and save the day. The series is (from what I could find) the third Disney Channel series to be created by a woman, (Daron Nefcy). The other two series are “Pepper Ann” and “Doc McStuffins.” It’s also the first Disney XD series to be created by a woman. As of this writing, the series has aired for two seasons, with a third one ordered by Disney XD. Marco is voiced by Adam McArthur, an actor who’s done voice and live-action acting. He’s also an actual trained martial artist.